In 1905, Mr. Frank Jarvis and Mr. Tommy Garner formed Conway Stewart & Co. Limited at 13 Paternoster Row EC1, next to St Paul’s Cathedral in London. 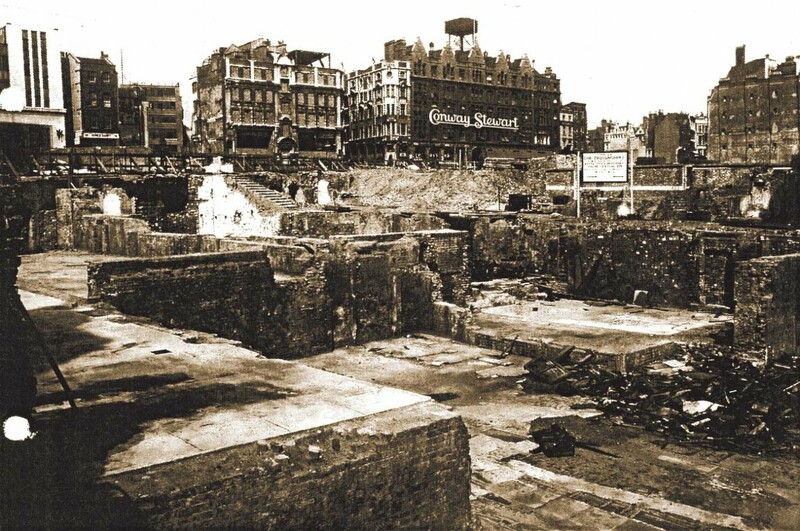 Today, this area is known as Paternoster Square having been redeveloped after its complete destruction during the Blitz of World War II. Although there is much debate regarding the origins of the Company’s name, it is believed that the name “Conway Stewart” derives from a popular vaudeville act of the day. Conway and Stewart were supposedly a comedy double act who appeared at Collins Music Hall in Islington. In the same year, De La Rue reportedly invested £50,000 in a promotion campaign for their new launch, the Onoto. However, Garner and Jarvis soon recognized there was an audience desiring good, reliable writing instruments that were also affordable. This is when Conway Stewart began to capture a market amongst the English. Jarvis and Garner developed a single aim, to produce elegant and beautiful, yet functional writing instruments – a principle that Conway Stewart holds true to this day. The 1920s was an excellent decade for the courageous owners. Not only did they trademark the name of the business ‘Conway Stewart’, but also their list of filling mechanisms available expanded to include eyedroppers, lever fillers, pump fillers and safeties. While the first of these pens were almost indistinguishable from others of that period, by 1925 Conway Stewart was coming into their own in terms of design. A trademark for the name “Dinkie” was registered in 1924, along with a patent for a new locking lever mechanism. 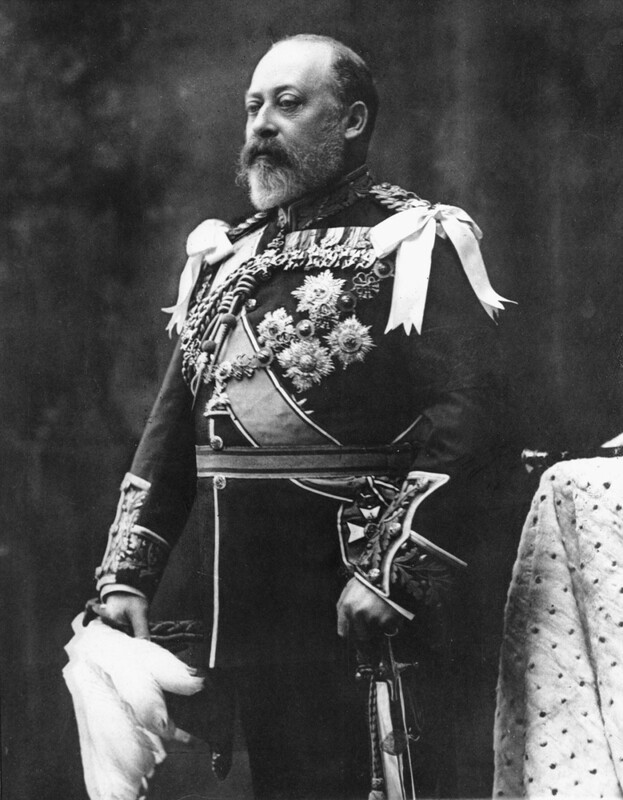 Conway Stewart was rapidly growing in popularity and demand. So much so that they were taking away market shares from other dominant pen manufacturers. Another introduction around this time was the use of brightly coloured celluloid. In the 1920s, Conway Stewart were offering dozens of different colours in their various lines, and the customer could choose from either the simple and conservative, the bright and cheerful, or the downright flamboyant. The pens of this period were very well made, and of high quality, yet remained affordable. The wide range of models and materials allowed Conway Stewart to truly offer “something for everyone” when it came to fountain pens. This reasonable pricing and successful marketing contributed to the success of Conway Stewart for the next decade. 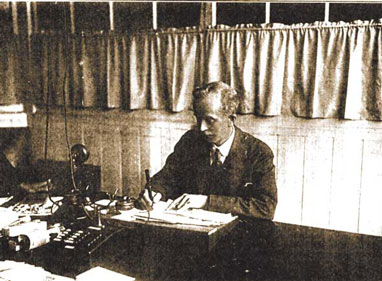 They invested in new premises in 1927, which became their headquarters for the next two decades. As the depression of the 1930s hit, Conway Stewart was in the enviable position of marketing pens that were considered “good value”. 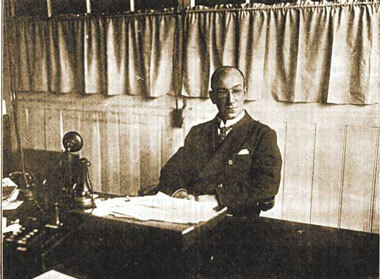 Although this decade proved to be a low point for Conway Stewart in terms of profit, they were able to ride out the depression successfully. Colourful plastics soon became a signature for Conway Stewart. It is interesting to note that they did not designate titles for their designs. The names we recognise today have been adopted by collectors over the years. As an example, Cracked Ice and Reversed Cracked Ice were used for many of their models for over 25 years, together with Tiger Eye, another favourite. By the middle of the decade, Conway Stewart was ready to expand, and in 1935 they went public, with shares being offered to raise capital. 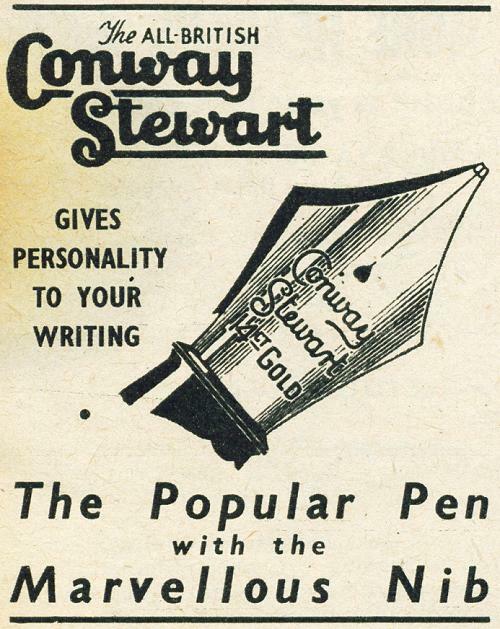 Advertising campaigns managed to keep the name Conway Stewart in the forefront of the public mind, in much the same way as advertising by Sheaffer, Parker and De La Rue. The 1950s proved to be a continuation of the “golden age” for Conway Stewart, with many of their materials from this era being eagerly sought after today by collectors around the world. The Herringbone pattern and many versions of marbled colours are very popular today. Even more notable is the Number 22 Floral, with its flowered design set on a cream background. Today, over fifty years after its launch, there are still many discussions concerning the Floral. Was production limited due to the complexity of the material or was the market not ready to accept such an exotic plastic? Either way, whenever a mint No.22 Floral is found for sale today, there is always a demanding audience of pen collectors. Unfortunately, the 1950s also ushered in the era of injection molding for the manufacture of pens. This led to the use of solid coloured plastics in place of the wonderful patterned celluloids. By 1957, the Conway Stewart line was represented with pens that, while still very well made, and reliable writers, were not in the same league in terms of appearance. It was at this time that the first ballpoint pens were offered by Conway Stewart. The 1950s provided the last of the great Conway Stewart models. The company began to stagnate through the 1960s as the market turned relentlessly towards the disposable ballpoint. The company persevered in trying to keep up with the market trends with their ball pen and also by launching the 106, a cartridge pen mounted with a semi-hooded nib. In the 1960?s the company was sold and relocated to Wales, where the last pen rolled of their production floor in 1975. Following a significant investment in research and development, a new era began with a focus on making pens for those who appreciate traditional craftsmanship, objects of timeless beauty and utility, and the pleasure of using a fine pen. Not to mention the ever growing number of pen collectors around the world who treasure the Conway Stewart name and all that it stood for as Britain’s greatest pen maker. Thus a new era of Conway Stewart was born. In the 1990?s, the company launched a range of pens made from solid gold; “The Gold Collection” to showcase the work of English master craftsmen in various fields, including hand painting, enamelling and engraving. These fantastic pieces which can sell for £10,000 ($18,000) and more continued Conway Stewart’s tradition of excellence and are fitting companions to the pens of earlier generations. 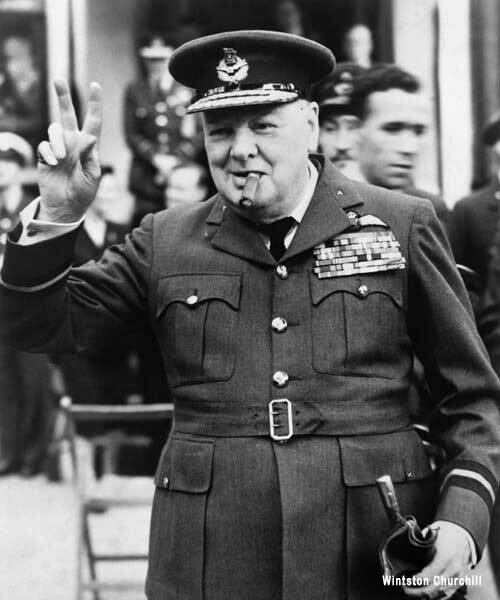 In 1996 the Churchill model was introduced to celebrate the life of Sir Winston Churchill and his prolific interest in writing and literature throughout his lifetime. To celebrate the company’s Centenary in 2005 the new One Hundred Series was launched, produced in various handmade resins. Accompanying the 100, the stunning Silver Duro pens arrived on the market. Made from pure English sterling silver over-laid with resin veneer, the sterling silver Duro echoes the great designs of the Edwardian era. Also launched to celebrate the 100 year anniversary of Conway Stewart were several limited editions, detailed on our limited editions page. 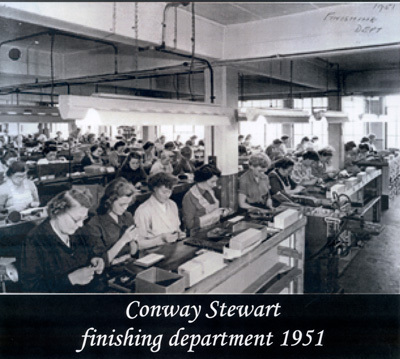 Owners of modern Conway Stewarts are in excellent company, as Conway Stewart pens have always been the preferred choice of the most discerning and famous people from around the world and this tradition continues to this day. Her Majesty Queen Elizabeth II and The Duke of Edinburgh were presented with two Conway Stewart pens from “The Gold Collection” to commemorate their Golden Wedding Anniversary. British Prime Minister Tony Blair presented Russian President Putin with a Conway Stewart Churchill Burgundy Fountain pen on a state visit to Russia and French President Jacques Chirac was given a Brown Marble Churchill to celebrate his 70th birthday in 2002. Conway Stewart was the official pen chosen by the British Government for the G8 Summit at which Prime Minister Blair presented a Conway Stewart No 58 set to each of the G8 world leaders. President Bush and President Clinton have both owned Conway Stewart pens. Conway Stewart also created exclusive pens for many prestigious corporate and government accounts, including the Royal Air Force, the Red Arrows, Rolls Royce, Mensa, as well as numerous other high profile corporate accounts. Rick Wakeman, rock star and pen enthusiast, has a large collection of Conway Stewart pens of which he is justifiably proud. Handcrafted by master pen makers, the rich heritage of Conway Stewart rests in your hand every time you use one of these beautiful British pens. Since acquiring the stock of components from the Conway Stewart factory when it closed in 2014, Bespoke British Pens has striven to maintain the heritage and tradition of past practices. It’s our constant goal to make the most beautiful and elegant British pens and give pleasure to those who appreciate the art of fine writing – the Conway Stewart way. We believe that whether you are giving or receiving one of our pens – or perhaps buying it for your own use – it will provide a lifetime of pleasure and become a cherished companion. When Conway Stewart was founded in 1905, Jarvis and Garner had a single aim, to produce elegant, timelessly beautiful, yet functional writing instruments. Today, more than one hundred years later, Bespoke British Pens still hold true to those original goals. Luxury, history and enchantment combined – we hope you will agree.